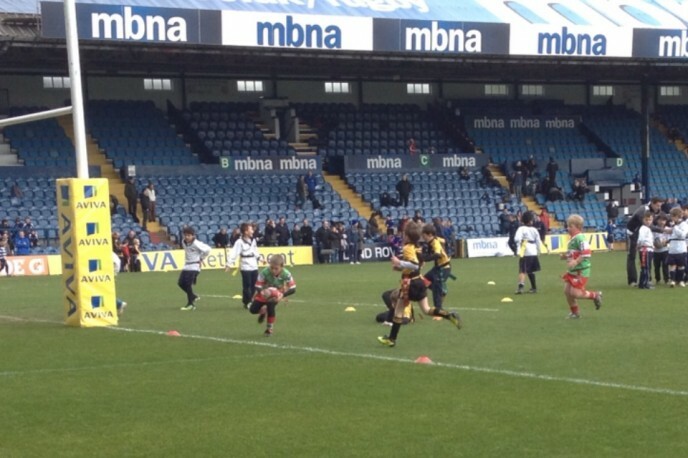 Josh & his U8s squad were playing in a tournament ahead of Sale Sharks last match at Edgeley Park against Harlequins. The U8s played brilliantly in their pool matches; drawing 1 & winning 3! Josh scored 2 brilliant tries as well. Warrington met Bowdon in the final who were a force to be reckoned with & unfortunately due to the speed & discipline of Bowdon our boys couldn’t win. When the tournament was over we paid a trip to the Sale Sharks shop before finding our seats for the match. Only Mum & Dan have watched Sale Sharks play live before, so it was a first for the other 4. Sadly it wasn’t to be Sale Sharks day either as they suffered defeat. Josh received his runners up medal on the pitch at half time & we saw Uncle Simon as he was on Paramedic duty. We had a brilliant but exhausting day & an early night is on the cards for all of us! !